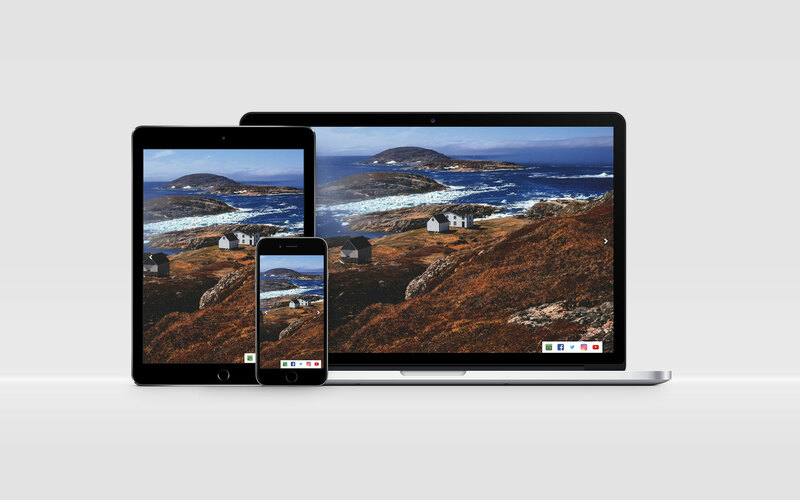 Connected via a recommendation from a previous client, Artlytical Media started working for Battle Harbour Historic Trust in 2015 to rebuild their website. The previous website was out-dated without mobile responsiveness. Since 2015, Artlytical Media has updated the site 2 additional times to accommodate Battle Harbour Historic Trust’s changing needs. 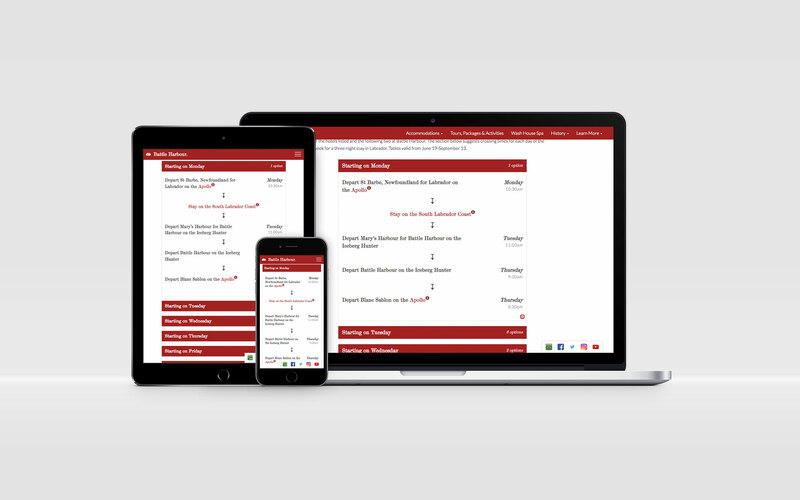 The first re-build was based on AngularJS, which allowed for some really interesting capabilities, but the latest version of the site needed to be editable by the client and they wanted to connect it to their booking engine. 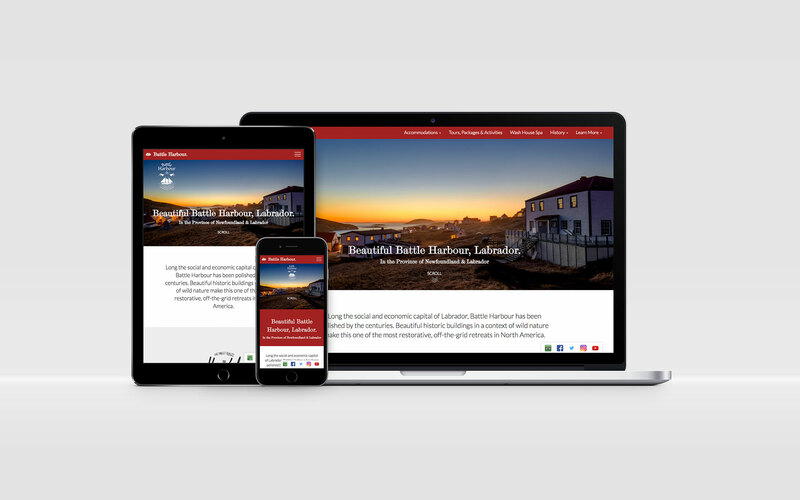 Artlytical Media was able to migrate the code from AngularJS to WordPress, allowing Battle Harbour Historic Trust to edit content themselves, and adapted provided booking engine code to co-exist within the WordPress framework and match the website’s signature appearance. Battle Harbour Historic Trust is a non-profit that is as relaxing a place as it is educational. That being said, their pricing for accommodation was always a struggle to understand. Artlytical Media redesigned the display of the cost structure so that it is easily understood by anyone browsing the site. Plus, a Trip Planner was created to help visitors make their way to their destination.